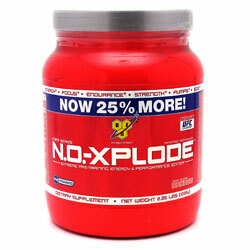 BSN NO-Xplode 50 Servings "NEW" 25% More, Same Low Price! 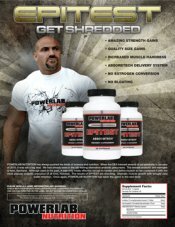 NO-Xplode is the world’s first and only pre-workout supplement that produces immediate results in energy, size, strength, pumps, performance, mental focus, and training intensity. Stop Wasting Your Hard Earned Money On Those Other Nitric Oxide Pre-Workout Drinks! It's Time To Get Serious, Get Strong, Get Big, and Get Results!!! » Training Energy, Motivation and Intensity. Mental Alertness and Focus. Muscle Fullness, Vascularity and Pumps. Strength, Power and Endurance. 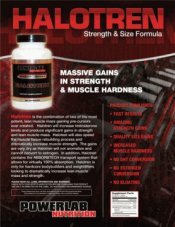 Resistance to Muscular Fatigue, Blood Flow and Delivery of Oxygen and Nutrients to Muscle Tissue. Nitric Oxide (N.O.) Levels. Muscle Carnosine Content. Hydrogen Ion (H+) Buffering. Anaerobic Working Capacity of Muscle Tissue. 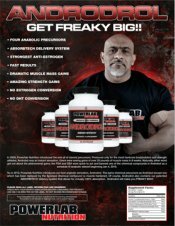 Creatine Absorption, Transports and Bioactivity. Ingredients: Other Ingredients: Citric Acid, Natural & Artificial Flavors, Potassium Citrate, Sucralose, Calcium Silicate, Acesulfame-K, FD&C Yellow #6 and FD&C Yellow #5. 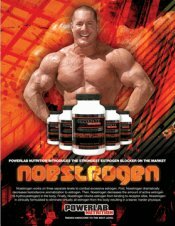 Recommended Use to Assess Your Tolerance: As a dietary supplement, begin by consuming 1 scoop of N.O. XPLODE mixed with 5-6 oz of cold water. Vary amount of water to achieve your desired flavor and sweetness level. Wait 30 minutes to assess your tolerance. 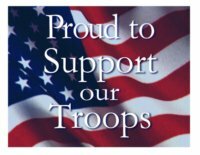 If, appropriate, after 30 minutes consume an additional 1 scoop mixed with 5-6 oz of cold water and assess your tolerance again. Recommended Use on Training Days: Once your tolerance has been assessed, mix 1-3 scoops with 5-18 oz. of cold water and consume 30-45 minutes before training. Use approximately 5-6 oz of water per 1 scoop of powder. Again, vary the amount of water to achieve your desired flavor and sweetness level. 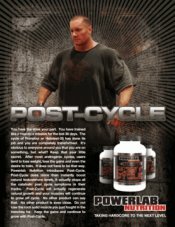 To achieve results take on an empty stomach (i.e. at least 2 hours after a meal or 1 hour after drinking a protein shake). Non-Training Days: Mix 1 scoop with 5-6 oz. cold water and consume on an empty stomach. For maximum results consume 120 oz. of water per day alongside a protein and carbohydrate-rich diet. Your body chemistry and weight will determine how long it takes to experience the effects of N.O. XPLODE. 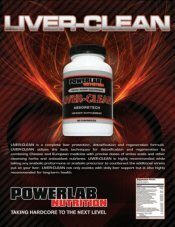 Many may notice energy, focus, and muscle-volumizing effects within 5-15 minutes of ingestion. These effects tend to become more pronounced every few minutes thereafter. Others may begin noticing effects within 30-45 minutes of ingestion, again the effects becoming more pronounces every few minutes thereafter. 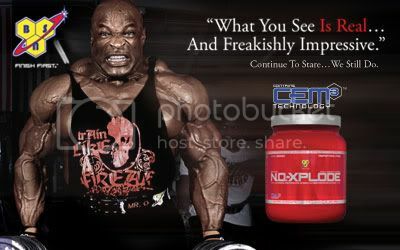 N.O.-XPLODE induces its maximum effects 1-5 hours after ingestion. After 12 weeks of use, discontinue for at least 4 weeks. Store N.O.-XPLODE in a cool, dry spot away from direct sunlight.